NOTE5 FAN, 10 Jan 2016i'm planning to switch to android from iphone but cant decide either note5 or s6 edge plus,, i... moreNote edge. I bought it. Amazing phone. Which one is the best to buy note 4 ,note 5 or s6 edge plus ? Anonymous, 12 Jan 2016Pink! 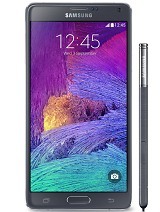 It is available with 128gb internal.That's a nice Note 5.
funny, 11 Jan 2016is this best of note series ? 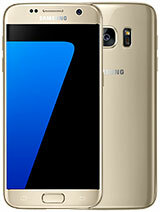 s6 edge+ vs note 5 what is the key difference? s pen and curved ... moreNote 5 is the best of all Note series. I am happy they have 64GB version available in most countries. That is more than enough for my files. No need for expansion memory. funny, 11 Jan 2016is this best of note series ? s6 edge+ vs note 5 what is the key difference? s pen and curved ... moreHi funny. Go for note edge. Better than s6 edge. 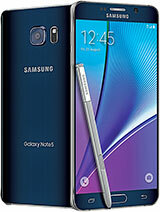 Note edge pannel more customisable and it has removeable battery and sd card slot. And battery life is amazing. Hope this helps. Anonymous, 13 Jan 2016Hi..I have been using since 1 month..it's really good one,it's charged so fast but it's gettin... moreNope, not a problem at all. Fast charging usually heats the phone a little while charging, nothing to be concerned about. In fact, Note 5 with the Exynos barely heats up even on heavy gaming. I have used several phones like LG G2, Z3 Compact, iPhone(s) and all of them heated up, if not overheated. The Note 5 just runs cool all the way. Anonymous, 12 Jan 2016Pink! It is available with 128gb internal.Merot red note 3 i have. Pink is nice to. Anonymous, 12 Jan 2016Hello guys . 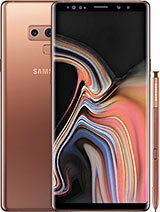 Iam having difficulties to select between the gold and silver titanium colour ple... moreIts Silver Titanium, but not available and 64gb available, its a blessing in disguise, I wud now wait for S7 with sd cardslot. Forget its ever existed so why not change every year, by using it with care. Anonymous, 12 Jan 2016Well i wanted to buy s6 edge plus in the first but i see s-pen is more functional than curved ... more5:40 hours is not normal. You should bring it back for warranty. Another thing, could be some of your installed apps causing the lags and freezez hence the battery drains so fast. Get rid of those buggy apps. Anonymous, 13 Jan 2016Hi..I have been using since 1 month..it's really good one,it's charged so fast but it's gettin... moreIt happens when you use fast charging. The current is increased as compared during normal charging conditions. Thus more current causes an increase in phone temperature. Hi..I have been using since 1 month..it's really good one,it's charged so fast but it's getting heated while on charge...why this is happening? ?is there any serious problem?? Anonymous, 12 Jan 2016Pink! It is available with 128gb internal.Well that's good but 64GB is more than enough for me. Good Samsung is selling 64GB version here. Anonymous, 12 Jan 2016Pink! 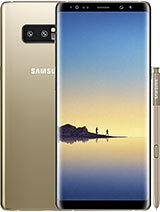 It is available with 128gb internal.I wish... Samsung is still only selling us 32GB version. Anonymous, 12 Jan 2016Pink! It is available with 128gb internal.Beautiful! Tcool, 12 Jan 2016Gold Platinum is the best seller, go with the flow.Pink! It is available with 128gb internal. Anonymous, 12 Jan 2016Hello guys . Iam having difficulties to select between the gold and silver titanium colour ple... moreGold Platinum is the best seller, go with the flow.